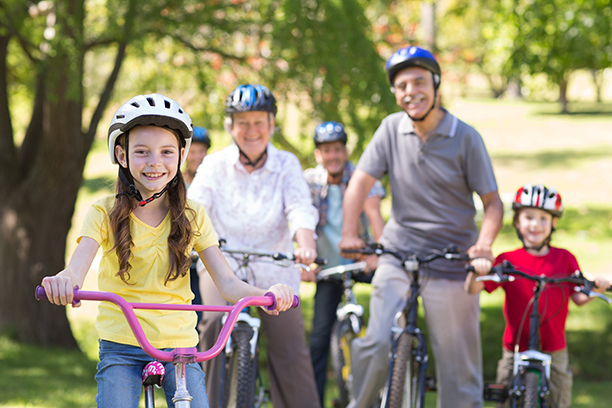 With over 15,000 members and supporters, Bicycle NSW is the peak cycling body in NSW. Our 40 years of history shows in our unrivalled local knowledge and a widespread cycling network. Our goal is to achieve a better environment for current riders, and for those who may be encouraged to ride a bicycle in the future. Bicycle NSW seeks to stimulate the cultural and behavioural change necessary to mainstream bicycle use while also advocating for improvements to be made to the built environment that improve the viability of the bicycle as a serious transport option. We run programs and events, advocate for better conditions for bicycle users and provide a variety of information for bicycle users. We work collaboratively with a wide network of partners and friends to reach our shared objective of mainstreaming bicycle use. Bicycle NSW has a small but dedicated staff who collaborate with a wide network to create a better environment for bicycling. Find out more about the staff. The Bicycle NSW Environmental Trust was established in 2003 to promote bicycle riding as an environmentally beneficial means of transport. The Trust helps Bicycle NSW continue its valuable work of getting more people riding bikes through its program of events, advocacy, community building and membership. The Board of Bicycle NSW is an essential part of the Governance structure of Bicycle NSW. Just as a traditional Board represents the shareholders of an organisation, the Board of Bicycle NSW represents the members of Bicycle NSW. Each year, elections are held to determine which Bicycle NSW members will fill the positions vacated by members whose term has expired. Board members provide Bicycle NSW with contacts and expertise across a variety of industries, helping to make Bicycle NSW a focused and professional organisation. The time and effort invested by the Board members is invaluable and yet is provided free of charge. Read about the current Board Members here. Find out more information about the 2018 Annual General Meeting here. The Bicycle NSW Board acts in accordance with the rules of Bicycle NSW as set out in the Constitution and associated Regulations.